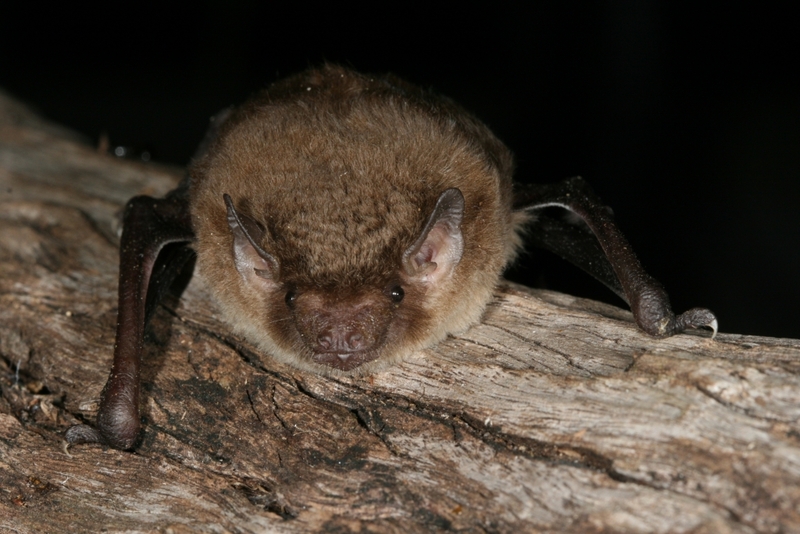 About 20-40 microbats a year come into care. We have a beautiful Microbat cage that allows all but the biggest microbats to fly in. The best advice for rearing or rehabilitating microbats can be gained from the Australian Microbat Rehabilitation Forum on Facebook. You can download a very informative manual once you are a member and ask questions online. It’s a closed group so email us and we can arrange for you to join. These are the most common species we have coming into care. They are easy to rear as orphans, but not always easy to feed as adults. Normally they start by eating the insides of mealworms but will often not progress onto whole mealworms. If kept in care, especially if long-term, always best to use a blended mealworm formula. They are very content to stay put and reluctant to fly away when being released. They commonly roost in the ceilings of buildings. 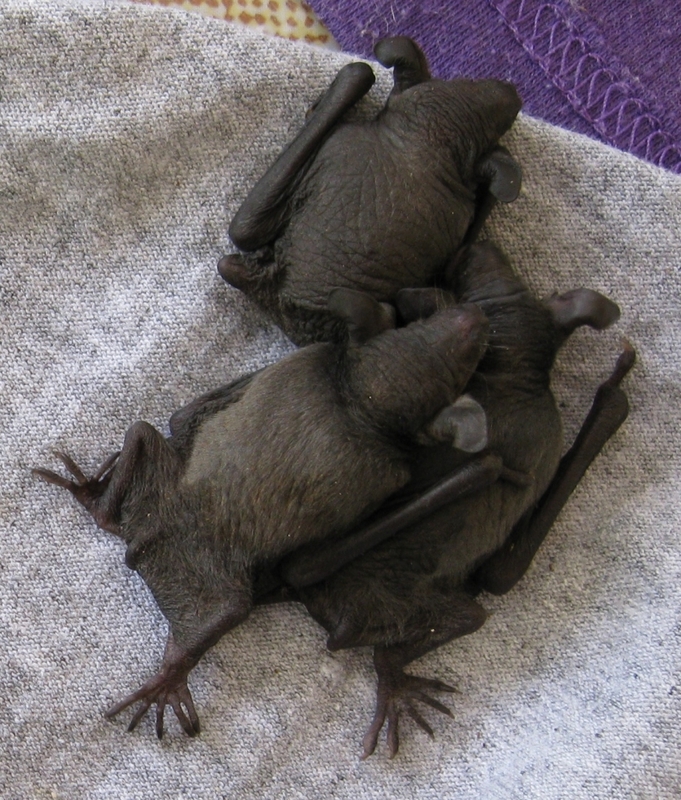 These little bats come into care from the drier parts of the Tablelands, especially around Mareeba. They are easy to rear as orphans and feed as adults. 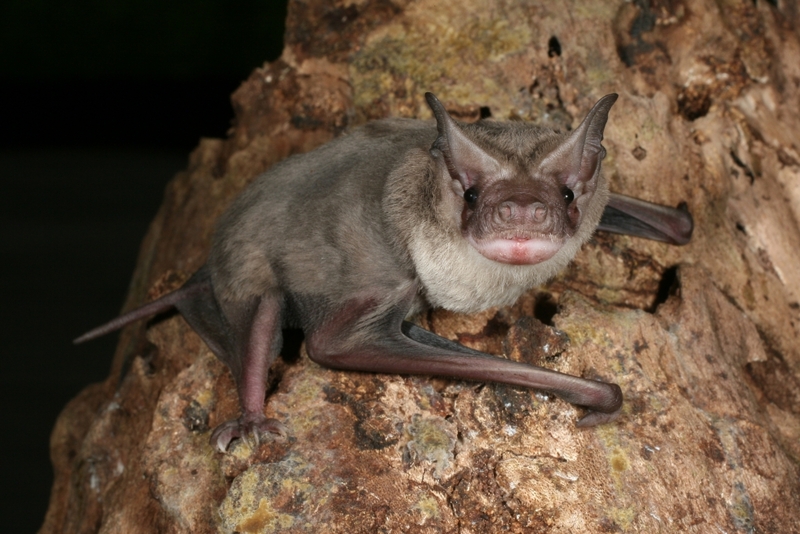 These Freetail bats only come into our care from the coast, never the Tablelands. As adults they are much easier to feed whole worms than the smaller M.O. ridei. 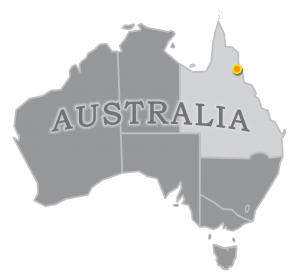 They occur widely across the northern half of Australia. Weighing 12-18 grams they are a little heavier than the Mexican free tail bat which has ben clocked flying 140kms/hour and foraging for insects 2 kms high. All the Freetails have long narrow wings which makes them fast flyers who forage above canopy. Despite using their large feet to catch small fish and insects from the surface of the water, they will eat whole mealworms quite well in captivity. The pups are easy to rear. Our most dramatic experience with this species was with a heat stress event when a large proportion of a roost fell to the floor of a shed. They were roosting with young just under a metal roof and we suddenly got a lot of very hot weather. Over 20 came in over 2 days. This photo shows a group of 3 young just about to get their hair. 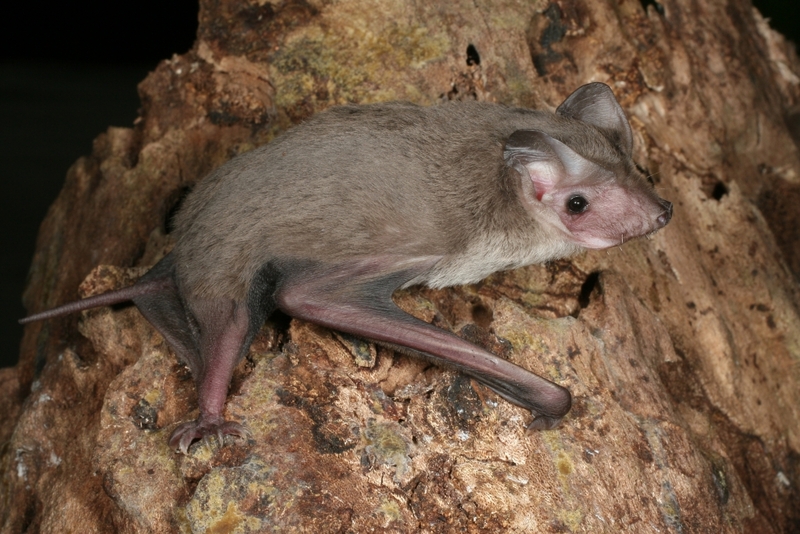 This species roosts in a number of locations around the verandahs of the Bat Hospital. I have found one on the ground carrying twins. It had attempted to fly around a 90 degree corner of the enclosed verandah. The batbox was only a few metres away so I was able to just pop the mother and twins inside. 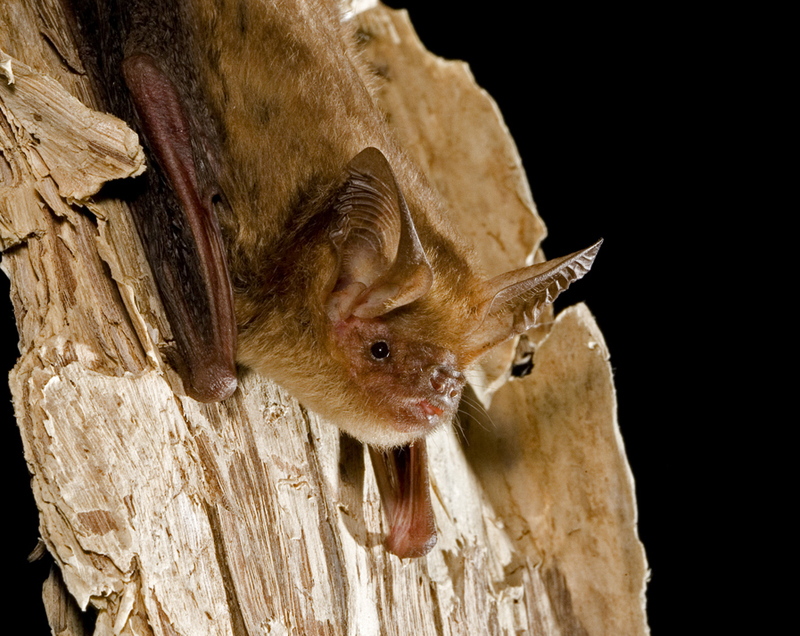 Sometimes they roost in large clay hanging bats, or inside a box air conditioner. Orphans often come into care in January from banana farms. Their mothers choose to roost between the hands of bananas under the plastic cover. When the bunch of bananas is picked and brought into the packing shed, the plastic is ripped off and the bunch goes through a wash. The pups tend to fall out and the mothers fly off. The pups are easy to rear, and they learn to eat whole mealworms quite easily. We’ve released small groups of 3-4 together and they have always come back to the release cage each morning for some time. It’s a great opportunity to weigh them to check they are coping in the wild. To date they always have.